I read an article not long ago about bed bugs. I never thought much about them until recently. I work at a fire station and one of the stations was having an infestation of them just recently. Between reading the article and hearing the talk about them at work, I began to get a bit itchy just thinking about them. This morning I checked into the Wingate by Wyndham. I travel and stay in hotels room every couple of months. I live more than a 90 minute drive from work so sometimes its easier to just get a room then drive that far when tired. Never ever felt squeamish from a room before. I can pull back the sheets and go right to sleep without a second thought. Oh, but not today. I’m creeping out. That damn article. Now I am laying here and can’t thing of anything else but those nasty bug bugs. Ever couple seconds I think I feel something on my leg, and then my head or my arm. Ughhhhhh. I have got up and investigated the sheet twice already. I don’t want to check out. I just got here an hour and half ago. I wish I could just think of something else. My ear is itching and then my foot is. This is ridiculous. There can’t be bug bugs here. This has got to be my imagination. Gosh, I hope the little suckers don’t crawl into my suitcase. Am I ruined for hotel stays for the rest of my life now? What am I going to do? I do believe in mind over matter. 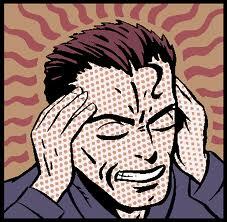 The term mind over matter refers to controlling pain that one may or may not be experiencing. Thankfully I fell asleep eventually. The mind is a very powerful thing. It’s what holds us back and what helps us to overcome addictions. 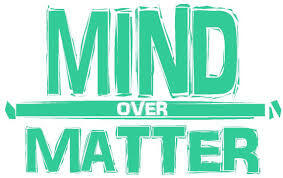 Mind over matter can be used in just about every aspect in our lives. Haaaaaa! Been there and sadly can identify! It is terrible when you actually are aware that you are only reacting to something other than reality. Having a response that you KNOW to be irrational! Again, I can identify!